Episode 78 – Tournaments Everywhere! We recap Rapid Fire, catch up with Team Belgium’s Davy regarding next year’s Belgium Team Championships, and talk to Team Scotland captain Bernard about the upcoming Grand Strategist GT! 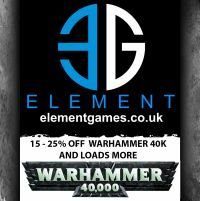 We catch up with Neil and Martijn, who attended last weekend’s Glasshammer open, and have a chat with them about the direction of the game! In our bumper 75th Episode (I know, I can’t believe it either), we have lots to share! We join Network contributor Dave Calder and his cronies on a road trip to Reivers “Fire Warrior II”, speak to Team Scotland Co-Vice Captains Aidhan and Colm about the Grand Strategist GT, and speak to YouTuber John “AceFace” Hickton about his channel, and the upcoming Last Chance Open! We review Codex Space Wolves, and chat to Jordan from Red Rose Gaming! We interview Nick Nanavati, current ITC champion and owner of TheBrownMagic.com, and talk about all things 40k!